Oral health promotion is an important element for achieving overall health and well-being. Oral hygiene if not maintained can lead to the oral infection such as tooth decay. Eating unhealthy food or snacks and too much of sweets can add to the tooth decay. In order to protect teeth from decay, intake of adequate amount of calcium is necessary. Calcium helps in providing strength to the teeth. The risk of tooth decay in a child increases if the feeding bottle is left inside the mouth when they are asleep. It is important for both children and adults to regularly visit the dental clinic for cleaning and check-up. 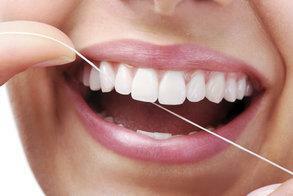 Brushing and flossing should be done as such to clean both front and back teeth. In children, the first visit to dental clinic should begin as soon as the first birthday is over. Any oral problems can easily be detected and oral hygiene can be sustained if check-up starts at an early age. Regular check-ups help to prevent tooth decay and lays a strong foundation for oral health as well as overall health. With growing age, the risk and impact of oral problems in individuals also increase. Proper brushing, flossing and regular dental check-up helps to keep tooth decay and other such oral problems away. Oral cancer form in any part of mouth and problems may occur due to high alcohol consumption, tobacco use and too much sun-exposure. A thorough examination of mouth, lip, tongue, etc in every six months is essential to prevent oral issues. Individuals engaged with sport activities should take extra care in order to avoid injuries. Mouth and face guards are recommended to prevent any oral facial injury.